The mission to bring back the rarest orchid east of the Mississippi River. We study plants and their interactions with other plants as well as other organisms: animals, fungi and bacteria. Our research spans the size scale from molecular to landscapes and it is conducted in wetland and terrestrial habitats. Much of our work is collaborative, especially with the Molecular Lab at SERC, and over the years we have worked with students, post- and pre-doctoral fellows, and professors from around the world. In recent years our long term studies on understory herbs have shifted to orchids. Orchid-related projects range from population studies of rare species to research on orchid-fungal interactions that focus on the dynamics of the interactions, how the fungi affect orchid populations, the genomics of the these associations, and what the role may be of endobacteria that are present in the hyphae of all of the orchid mycorrhizal fungi that we have isolated and have in our living fungal bank. The research on orchids and their fungal interactions has led to an effort, along with the US Botanic Garden as a founding partner, to establish an organization to assure the survival of native orchids. 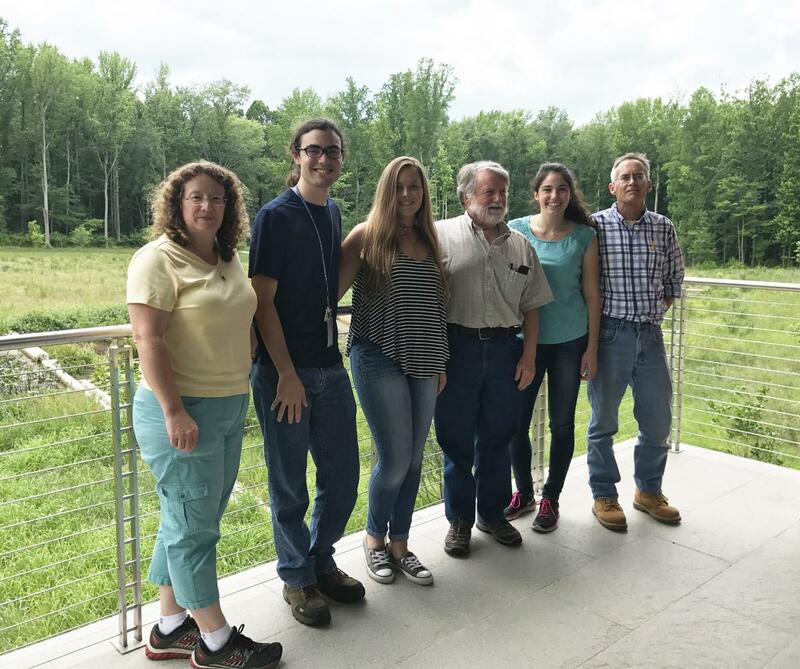 As wetland scientists, however, we have not forgone research on threatened and invasive wetland species, including research to understand the causes of the rapid expansion of a wetland species that is spreading across Chesapeake Bay tidal wetlands. We are interested in many types of wetlands and have been involved in studies of mangroves as part of a collaborative effort funded by the US-AID in the Sundarbans of Bangladesh that focuses on tiger conservation. We also have worked in northern wetlands and have been part of a collaborative research in Alaska has shed light on the functional dynamics of headwater streams and associated wetlands that support millions of juvenile salmon. Closer to home, we are involved in efforts to determine how restoration of a stream on SERC property impacts trees and shrubs on the floodplain, and we are participating in vegetation work associated with the Smithsonian's Tennenbaum Marine Observatory Network.